The exhibition put on by Simons from January 3rd – 5th was interesting. Nice to see them after such a long absence. Pleasant fellows, mostly, talking about the new proposals, well about the sketches they have drawn up in the past few weeks. Not much to show 3 years into the development agreement. Making a pitch to have an extension for another 18months of….dithering? 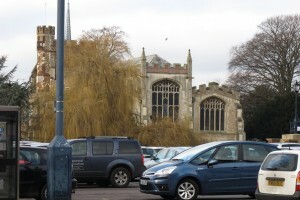 Simons presented an ‘Artist Impression’ of the church from Hollow Lane. We think that the artist must have been perched on a tightrope strung between Woodcote House and the old telephone exchange. One of Simons’ pleasant men did get out a ruler and measure the distance on their picture between the two buildings that they propose to erect on St Marys’ Square (listed for ‘enhancement’ in the original Churchgate Brief), and from that said the distance between them would be 45 metres – an improvement on the plans they showed 2 years ago. But would we see St Marys as they indicate, if we were not up in the air? What is not shown is the difference between what is now seen from the rest of Queens Street. The following photos show the views now evident. Most of that perspective would be blocked by an anchor store and a multistorey car park. There are a number of issues which we are concerned about and will be outlining in the next few days. The issues include the finances (an anchor store would want 8 years free rent – so where is the profit in that? 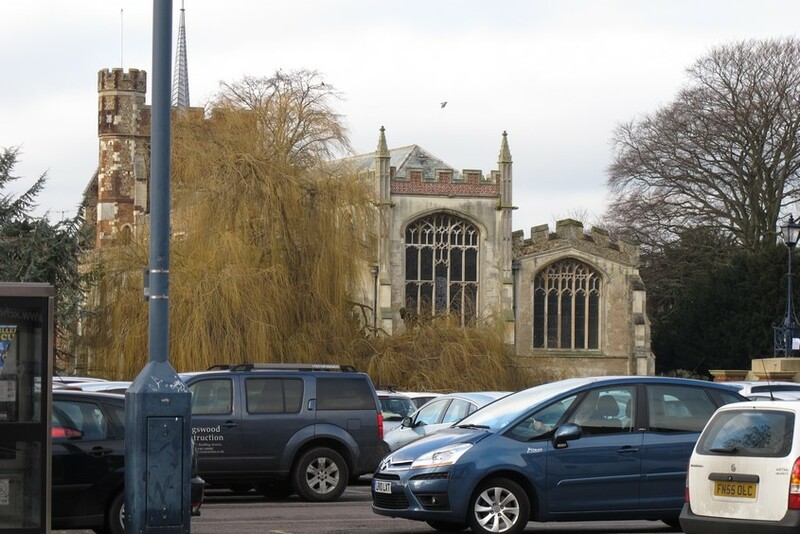 ), the impact on Hitchin’s present shops, the effects on the market (the traders had not seen the plans before January 3rd), and much more. 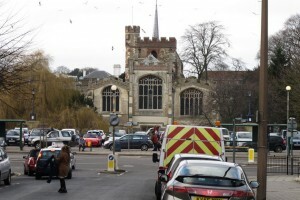 We are working with The Hitchin Society and Hitchin Historical Society to identify the main issues of concern. We are expecting to raise those issues at the resurrected Churchgate Liaison Forum, to be held on Wednesday January 9th, 7.30pm at Church House. Representatives of the 3 societies and local councillors and market traders will be on the panel, but the format of the evening is still to be revealed. 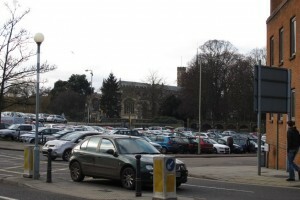 The Council is due to make its decision on January 31st. Do make your views known to us, but more importantly to the local councillors, and Simons. 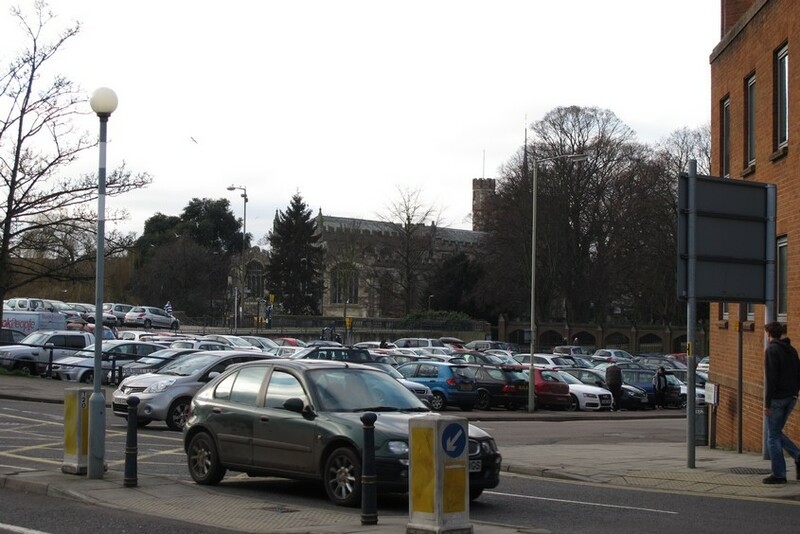 We do not believe this proposal is real, it is a delaying tactic and will not be good for Hitchin.